The City of Twentynine Palms, California, in the southern Mojave Desert, is the home of Joshua Tree National Park headquarters and north entrance, and is a gateway to the Mojave National Preserve, Mojave Desert Wilderness areas, and the new Mojave Desert National Monuments, including Sand to Snow National Monument. 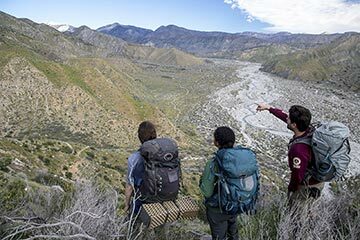 On February 11, 12016, President Obama signed a proclamation declaring the Sand to Snow National Monument east of Los Angeles in Southern California. The 154,000-acre monument extends from Bureau of Land Management lands on the Sonoran desert floor up to over 10,000 feet in the San Gorgonio Wilderness in the San Bernardino National Forest. The striking diversity of lands within this monument is breathtaking – they are filled with the stories of ancient peoples, soaring mountain peaks, critical wildlife corridors and rich biological diversity. 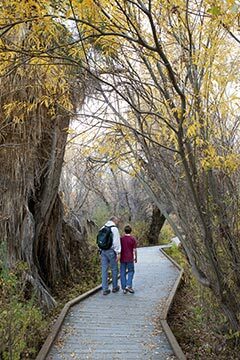 They also offer a wide variety of recreation opportunities for urban populations living close to the shadows of these majestic mountain peaks – the San Gorgonio Mountain region serves as an important recreational hub for 24 million people living within a two-hour drive of the area. These unique and impressive characteristics sparked the President’s use of the Antiquities Act of 1906 to establish the Sand to Snow National Monument.